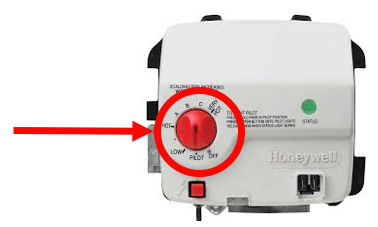 For gas water heaters, turn the dial located on the thermostat to the OFF position. The thermostat is the square metal box located near the bottom of the water heater. 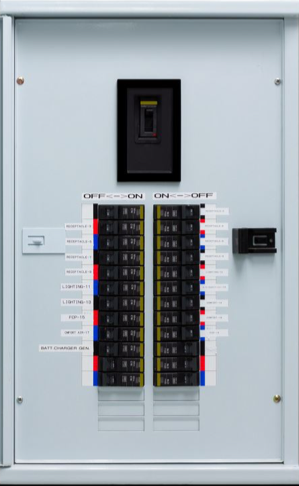 For electric water heaters, proceed to the electrical panel and turn off the breaker supplying power to the water heater. 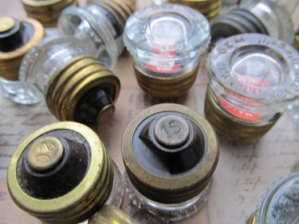 In older homes you may have to unscrew a glass fuse. The proper breaker or fuse should be marked as water heater, water tank, hot water tank, hot water heater or HWT. 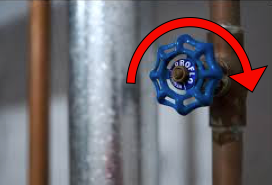 Turn the incoming cold water off at the valve located just above the water heater. 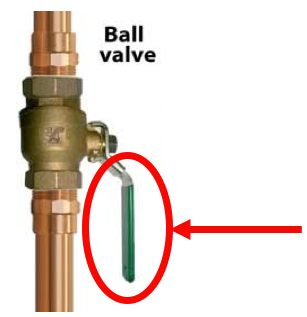 The valve is located on the cold water line which is usually on the right hand side. This valve will have to be turned to the right or clockwise. 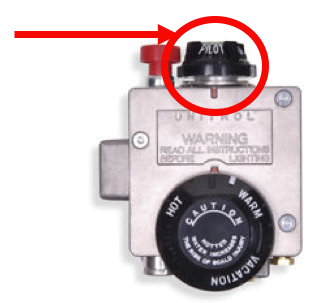 If you have a shut off valve which looks like the one below, the handle will have to be turned to be perpendicular to the water line. Next, attach a garden hose to the drain valve which is located near the bottom of the water heater. The other end of the hose can then be placed into the floor drain or sump pit. Once this is completed, the drain valve can be opened. Caution: the water may be hot! You may notice that very little water is exiting the hose and into the drain. This is because a vacuum has been created which will be resolved in the next step. Now, in order for the water to drain out of the water heater, a hot water faucet must be opened anywhere in the home and until the tank is completely drained. If everything is done properly up to this point then there should be no water at all coming out of any hot water faucet when it is opened. 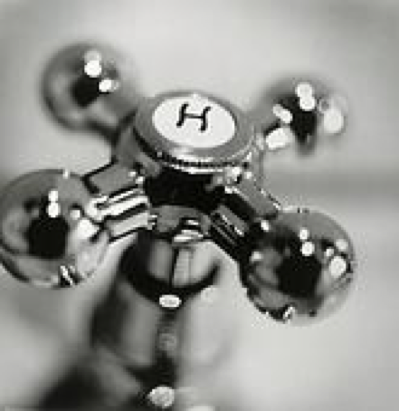 By opening up a hot water faucet, air will enter the tank through the faucet and allow the tank to start draining. Once the tank is completely drained (approximately 45 minutes to 1 hour) both the drain valve and the hot water faucet can then be closed. 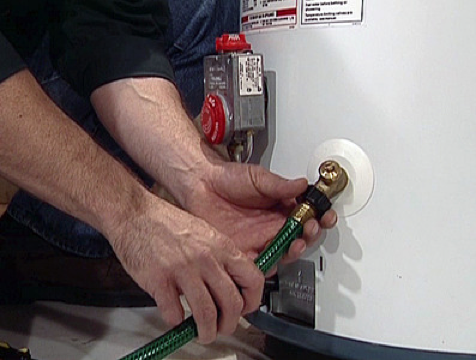 Call City Wide Water Heater Service at 204-783-8444.